Dumplings, heavenly dumplings. A comfort food that makes many Sydney siders salivate. Even so, Sydney is the first city to have opened up a dumplings train. The latter concept is no different to a sushi train. 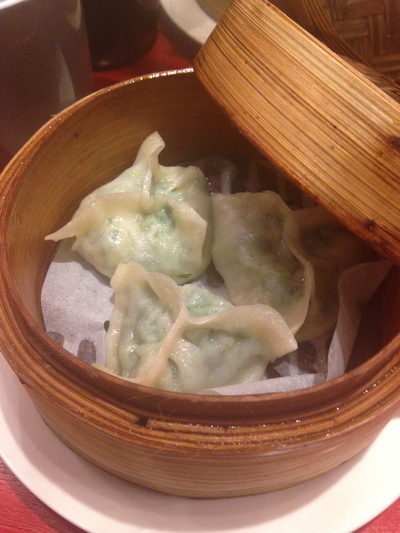 Dumplings are an essential yum cha menu item for many of us. Is there a particular place you always eat dumplings from? Is it a restaurant? Or a take away establishment? Is there a particular dumplings dish you like the most? Do you share your dumplings with others? Do you prefer to enjoy them alone? With sauce? Without sauce? Sydney Dumpling King in Burwood love the shallot pancakes they make too! Any Din Tai Fung store in the city. Marigold at Chinatown. Also love Cha Cha Dumpling Train @ Westfield Sydney. Each serve of dumplings (x 3) is only $3.50 each. Mr Wong's dumplings put all other dumplings to shame! The dim sum chef there is from a Michelin-starred restaurant overseas, so he really knows his stuff. I second Din Tai Fung. Best New Years Eve activity in Sydney?